Listed below are many of the Wineries that the Nightcruiser Party Tours cover with our Wine Tours, Hens Party, Birthday Celebration, Function Transport and Wedding Guests Transport. You might decide to travel with us to the Ferguson Valley or down South as far as Margaret River. 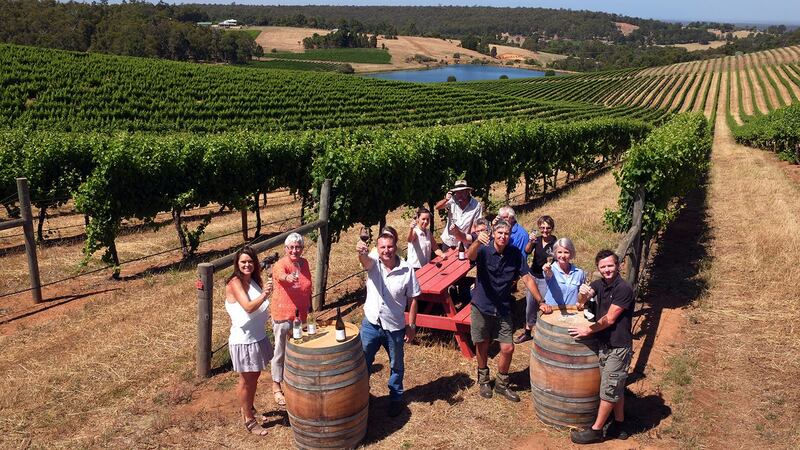 We also take party goers to the Swan Valley for a day excursion and back. On this page, we feature many of the Wineries in the Ferguson Valley since they are within easy reach of only 20 minutes from Bunbury and around 2 hours from Perth. Other Wineries further down the South of Western Australia can be found in our Margaret River Wineries Venue Guide. We are always welcome to their Bistro and Cellar door sales. They will open during the week for our groups. A great ambient place to stop for lunch. Set amid the rolling hills and vineyards of the lush Ferguson Valley, Carlaminda Wines Bistro is proud to offer an authentic “French country cuisine” for a very different experience. 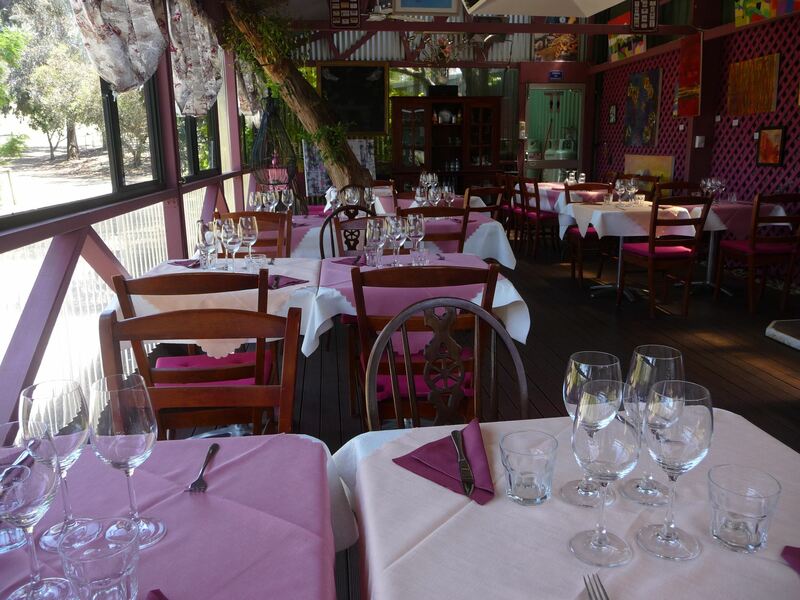 It might be the smallest French restaurant in Australia, but our Bistro has acquired a solid reputation for offering guests a truly pleasant and unforgettable experience. The menu includes favourite classics from onion soup to salade niçoise, from daube de boeuf aux olives to salmon à l’Alsacienne, freshly baked baguettes, coupled with a superb range of desserts ranging from crème brûlée to crèpe Suzette and sets the scene for a perfect place to relax and unwind. To top it off, the great range of excellent Carlaminda wines ads a fitting complement to a truly unique dining experience. 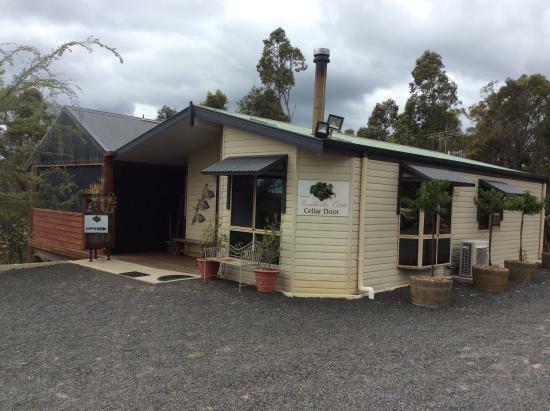 Family – run cafe and offering a range of wines & cheeses to purchase. With delicious pizza’s, tasting plates, salads, coffee and cakes. Ferguson Hart Estate Trophy Winning Wines all made from the Fruit of the Estate. 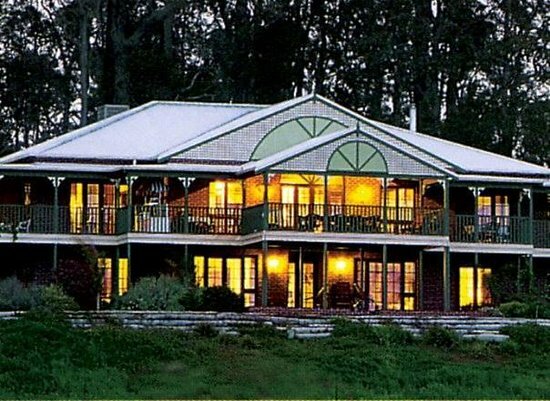 The Cellar Door and Art Gallery is a gorgeous place to visit with views over the vineyard and valley, a lovely ambience and friendly service. Wine tasting and sales, fine art gallery and gift shop, coffee and cakes. 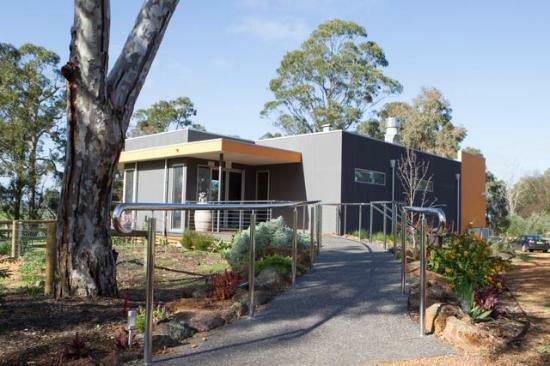 This family-run working vineyard has now opened up a boutique winery & cafe. 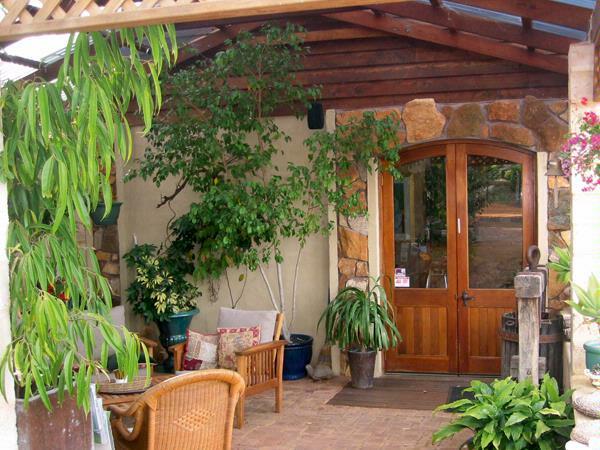 The Green Door vineyard is located high on the slopes of the Ferguson Valley offering panoramic vistas of the coastal strip from Myalup to Dunsborough. With approximately 8 acres of vines, comprising Grenache and Mourvedre planted in 1998 and Tempranillo, Shiraz, Verdelho and Fiano planted in 2008. The vines are maintained with minimal intervention and careful land management practices are an important part of the viticultural program. This approach to the vineyard is producing the fruit of a high quality, imperative to the production of quality wines. For wine tastings and a selection of platters to share. Bookings are recommended to ensure a table with a view. Group wine tastings: Groups of 8 people or more for wine tasting must book in advance. A wine tasting fee of $3 per person applies for large groups (8 or more), refundable against wine purchased. 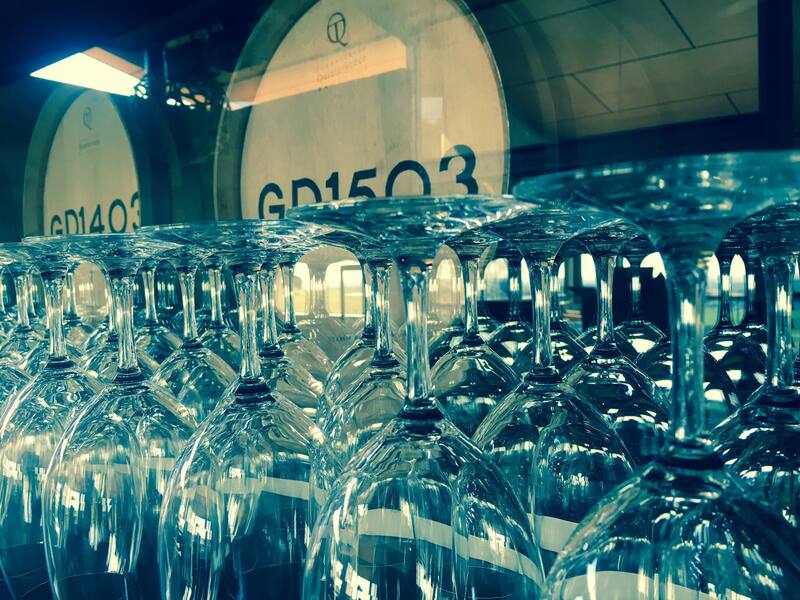 Their new restaurant and barrel store provides the Ferguson Valley with a top quality tasting and eating experience. Their tasting rooms and restaurant offer the opportunity to soak up the local atmosphere and fare. Try their fine wines and tantalise your taste buds with the offerings from your hosts Aaron and Adrie Devitt. Hackersley’s menu changes with the seasons and has already proved to be popular with the locals and visitors alike. Restaurant bookings are recommended. Perfect venue for weddings, corporate & social functions. 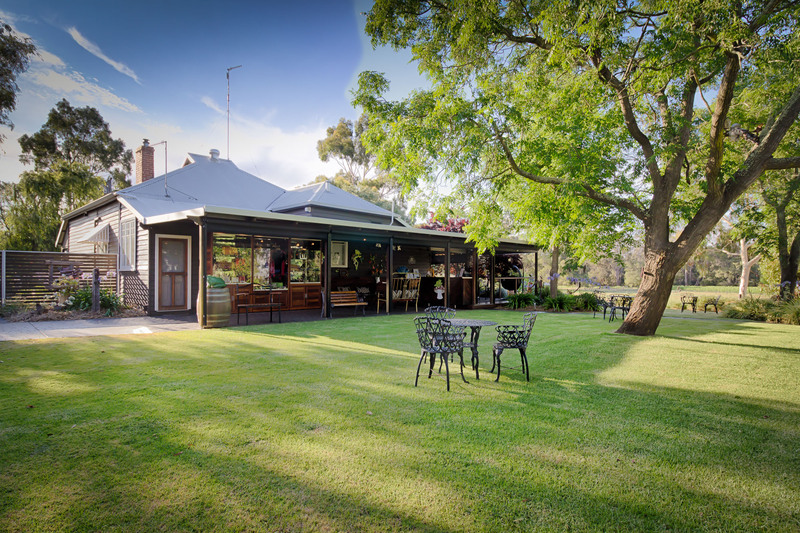 Nightcruiser call on this venue with superb surroundings for lunches and cellar door visits. We also provide Wedding Guests and Function Transport. Enjoy this opportunity to taste award-winning wines in the exciting atmosphere of the tasting cellar of Kingtree Lodge. If in a group, you will enjoy wining and dining in the luxury and comfort of KingTree Lodge’s fully licensed, elegant dining room. Indulge in a leisurely gourmet platter style meal which makes full use of fresh local produce. Your dinner can be complemented by tasting the award-winning Kingtree Wines which are made from the grapes grown in the KingTree vineyard. Guests can also taste wines in Kingtree’s Cellar Tasting Room. Day trips from the lodge are numerous and varied with Bunbury Beach only 35 km away, Wellington Dam 11 km, Donnybrook 28 km and Collie 32 km. Nightcruiser also provides group transport as well as Wine Tours to Kingtree Lodge. Cellar Door and Cafe. Picnic area with BBQ facilities, Wine tasting and sales, picnic facilities. 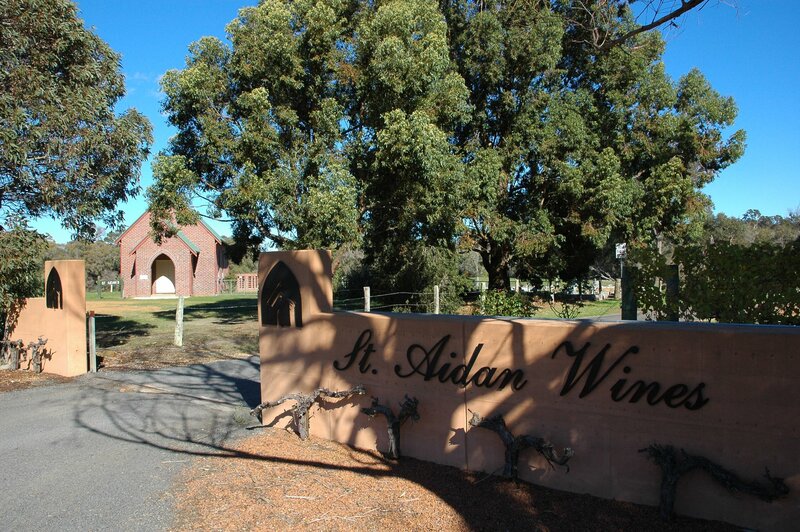 St. Aidan wines are only available at the cellar door, by order, or at selected restaurants. The Cellar door is 7.5 km from Dardanup on the “Ferguson Loop” which is a unique and beautiful drive full of attractions. Guests are welcome to use the picnic facilities under the pepper trees beside the Ferguson River. Hours: 10am-4pm Friday, Saturday, Sunday & Public Holidays except for Christmas Day and Good Friday. The most awarded Boutique Winery in the Geographe Wine Region. Nightcruiser visit here with our wine tours. Ideal to combine with your birthday or hens day party. This incredibly picturesque area is just 20 minutes from the coastal city of Bunbury and around 2 hours South of Perth. Join their friendly staff for a fun and informative wine tasting- they have a great range of both red and white wines plus wine accessories and giftware to compliment your “take home wine experience”. Their Cellar Door is located on the second floor. Bookings are required for bus groups of 10 people or more, a small charge applies. Please book early- at least 2 weeks notice is preferred. Bonking Frog Wines has rebranded to Windfall Wine Estate and is a small boutique winery in Western Australia dedicated to making quality merlot wines for pure enjoyment. It’s a very exciting time for them at the vineyard! Their newly released 2008 Merlot won bronze at the Decanter World Wine Awards in London and they have just released a gorgeous new wine. Their frogs are keeping them amused too. They have been working away in our Cellar Door for over 10 years now, and have decided come the 1st August 2017 their cellar door no longer be open on a daily basis. 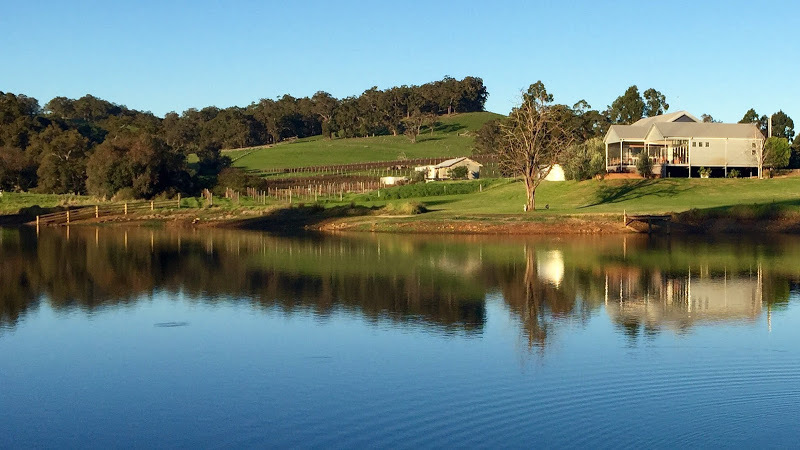 The family owned and operated vineyard has earned a 4.5-star winery rating with James Halliday (five-star rating system), with all wines being adorned with at least one medal.